If one of your 2019 resolutions revolved around giving your company’s blog some much needed TLC, terrific! Having a strong content marketing plan in place is an essential part of finding success as a business owner. 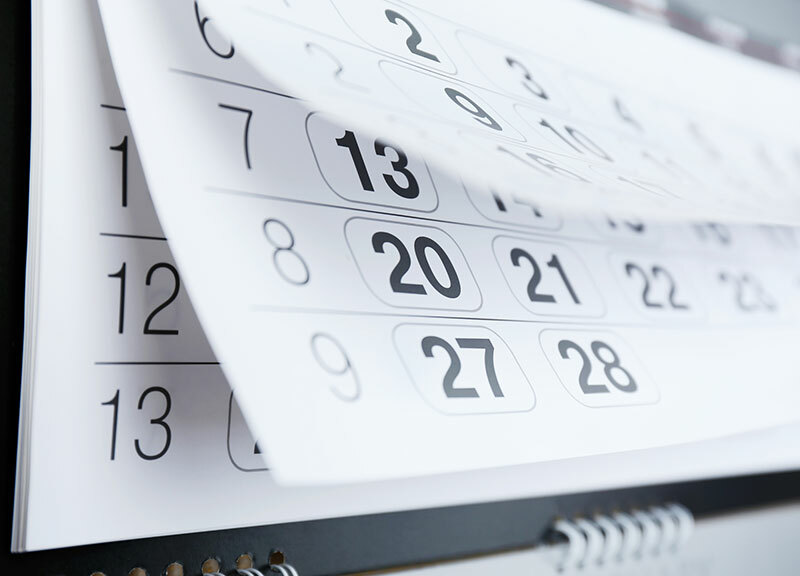 One of the first places to start is developing an editorial calendar for your blog. I know, it sounds overwhelming, but here are some tips for breaking down the process and making it feel manageable! The kind of language they’d like to read. Is it short and snappy? Elegant and professional? Some people find it helpful to create a character, and each time they write a blog post they envision that they’re writing it specifically for this one person. It makes the process feel more personable and easier to understand. Your bestselling products. You could do a product highlight! The questions you’re asked the most. Everyone loves a FAQ post. Your staff members. Why not do a team member highlight? Remember, blogs don’t need to be pages and pages long to be impactful. If you’re a photographer and you love doing senior portraits, then you should absolutely have a blog post ready to go when back to school season hits. If you’re a restaurant and you know Valentine’s Day is coming up, you need to have a blog post ready to remind everyone that you’re accepting reservations for a wonderful, romantic dinner. Plan out these important dates ahead of time so you’re not scrambling to put something together day-of. Lastly, you need to know who, exactly, will be in charge of writing your blog. If you think Jim is your designated blog writer and Jim thinks Susan is doing it, don’t be surprised when your blog sits untouched for years. If no one in the company is a good fit for this job, don’t be afraid to outsource the task to a professional writer. Need some more help with the idea of developing an editorial calendar? I’m full of ideas! Email Keith@BuckleUpStudios.com!